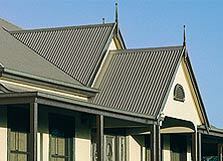 At Regional Contracting Pty Ltd, we specialise in supplying Colorbond metal roofing products to builders and building companies throughout regional and country Victoria. We also bring the winning combination of country quality and service to the city, supplying to builders in the Melbourne Metro area. You can have peace of mind knowing that in selecting Regional Contracting for your project, that we have all the necessary insurances,licences and we are absolutely vigilant about our ensuring our OHS obligations are meet on every job. Established by roofing industry professionals, we understand your needs and are focused on delivering quality products and good old-fashioned one on one service. Big enough to supply even the largest jobs, we are also small enough to recognise that every job, regardless of size, deserves our best. a very competitive price on supply and installation. With Regional Contracting you get the market-leading prices offered by the big metropolitan companies, with the professional local service only a regional supplier can provide. Let us quote your jobs to see how competitive we are.